There’s nothing like using the principles of story to translate sales and services copy into a narrative that conveys passion, enthusiasm and experience, aka a story. 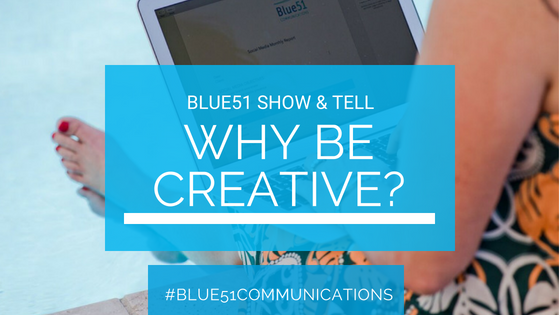 Blue51 Communications’ tagline is tell your story, and today’s Blue51 Show and Tell gives an insight into the writing process behind helping a business owner do exactly that. BellaArtista Designs delivers creative art workshops- specifically using resin to create a 3D piece of art. The workshops are four hours, and participants are guided step by step through the process of selecting a design, creating the resin mix (a fantastic, almost weird-science process) according to colour preferences, and then pouring that mix into the design. Whilst the resin sets, a special guest takes over the workshop to deliver an experience that changes each workshop, but always has a focus on wellness, on relaxation or on nurturing self. This may be a guided meditation, an eye or lip mask, pressure point massage or an info session on an alternative therapy modality. BellaArtista workshops are for people looking for a creative, fun and unique day out from the day to day. Many people tell Angela, BellaArtista’s founder that they’re simply not creative, that they’re not ‘arty’ but her experience is this mode of creation- resin art- appeals to a broad range of ‘non-creatives’ and creatives alike. BellaArtista is often witness to the profound effect that time dedicated to creativity has on people’s wellbeing and wanted a content piece to reflect this. The goal was to encourage people to take time out of their busy lives, to allow themselves the gift of creative time to experience the benefits. In terms of research for this project, I immersed myself in a ton of scientific studies that linked creativity and wellbeing, but then decided to channel my inner Angelina, and went for a method acting approach. Yep, I signed up for a workshop! I hadn’t done anything remotely ‘arty’ since Year 9 compulsory art. I was a book worm and a word nerd at school (some things never change) and I’m not particularly visual, relying on the professionals (Graphic Designers, Interior Designers) to do the hard visual stuff in my life and business. I was more than a little apprehensive, but excited to have a Saturday that involved four hours of something different from the same old, same old. How was it? It was amazing! Firstly, I walked into a table full of the most delicious, home-baked treats and goodies. The host, Angela, has an uncanny knack of creating connection between the people gathered around the table, and of course the process of creating- the mixing, the colour selecting, the frantic stirring of the chemicals was incredibly immersing. The four hours flew, Angela thrust a glass of bubbles in my hand and I left the workshop with a beautiful piece that’s sitting on my desk as I type, reminding me to take time and space out of the every day to try something different. How fabulous is that? So, research complete, it was back to the communications and writing. I focused on the pain points of BellaArtista’s audience- predominantly busy women, potentially overwhelmed with far too many tabs open in their brains. A risk is that people may see time out being creative as self-indulgent, so I wanted to craft a piece that addressed that, and reframed it as being a way to provide self-care and nurturing, a way to reconnect with imagination, to get out of old ruts, eat amazing food and basically have fun! Creativity is joyful and inspiring, and above all else is relaxing. Being fed beautiful food and handed a glass of bubbles is the cherry on the sunday, or the lacquer on the resin. BellaArtista has a fabulous piece of content on her website, which of course feeds the broader social media schedule. Most importantly, it emphatically answers the question- why be creative? Why? The research shows us that it enhances long term health and wellbeing, and my experience showed that it smashed my sense of overwhelm like nothing much else. Tell me, do you tell the story of your business services, the value you offer, the benefits you provide effectively? 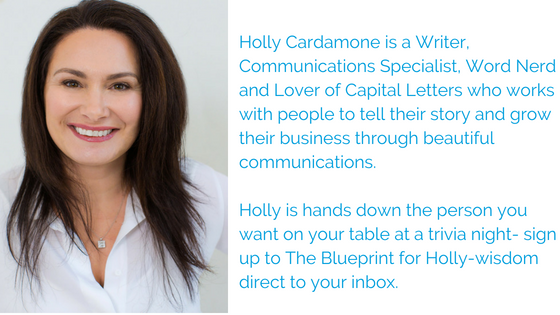 Communicating your services beautifully is one of the writing for business concepts I cover in my Writer’s Toolkit Workshop. Find out more, and book into an upcoming workshop here– I’d love to work with you on your business writing projects. This is a post in my Blue51 Show and Tell blog series . Each month, I share some of the projects I’m working on for my fabulous clients. I can’t wait to show you both the work we’re producing, as well as the amazing results they’re achieving in their businesses. There’s more unabashed bragging on my Facebook and Instagram feeds. If there’s something specific you’d like to know, please shoot me an email or give me a buzz, and I’ll do my best to help.